Women make up 50% of the population, 15% of the engineering graduates, but only 11% of the engineering workforce. We are missing out on huge amounts of talent which is desperately needed in our workplaces. So what can we do about it? In my experience, it is pretty rare to find deliberate discrimination towards female workers. Most professional managers I know are just trying their best to find the right people to do high quality work for their clients. But unconscious bias can creep in unseen. Everyone has got their own personal experience of life on which to draw, and this means that men and women naturally relate to the strengths that have helped them achieve their own successes. One of the key challenges to tackling unconscious bias is to open people’s eyes to the benefits of characteristics which they don’t have themselves. It can be remarkably difficult to persuade people to do this. Katya Goodwin describes what a gap year at Springboard has done for her. Here’s an analogy. Humans can see colours from red to violet. Bees have a spectrum shifted to shorter wavelengths, and can see from orange through to ultra-violet. As a result, many flowers have developed ultra-violet colours to attract pollinating bees. Now, if I choose a bunch of flowers as a gift for my mother, am I going to visit the shop armed with a UV light so I can pick one with beautiful UV patterns? Of course not. I am a human, and I am going to value the colours that I can see, especially those that my mother appreciated last time. Am I discriminating against bees? Not at all. In fact I like bees. They are good for the environment and make honey. It’s just that their view of my mother’s flowers isn’t relevant and so doesn’t even enter my mind. On the other hand, if I want to select a gift of flowers for my mother to put in her garden, then I really ought to give a bit more consideration to the bees’ visual spectrum. Otherwise, she’s going to have no pollination and a barren flower bed. So to help companies gain the benefits of diversifying the workforce, one important thing people can do at work is to try to help future colleagues to understand the value of their individual strengths. I personally have gone through a great learning curve on this. Through various experiences and conversations, I have come to appreciate with great clarity the strength diversity amongst the team adds to our business. In much the same way as natural selection does in nature, diversity adds quality and durability to the solutions we produce. I reached a stage where I actively wanted to seek out that diversity. But how to do so was a remarkably difficult challenge, which I now realise required two strategies. One is to help women to be aware that any colleague is subject to unconscious bias, so they need to make their strengths obvious. The second is to change the company’s approach to mitigate that unconscious bias. The good thing about the first strategy is that it is largely under the control of the individual, so in the next blog I’ll talk in more detail about how candidates can make their strengths obvious to interviewers during the recruitment process. Springboard is a technical consultancy which develops innovative medical devices such as auto-injectors, infusion pumps and electromechanical surgical equipment.Springboard works through all product development process stages: concepts, proof of principle in the laboratory, design for manufacture and verification. Through its strategic partnerships with broad industries and technical areas, there is opportunity to develop careers in project leadership, technical specialities, line management and sales. Further information can be found at www.springboard.pro. 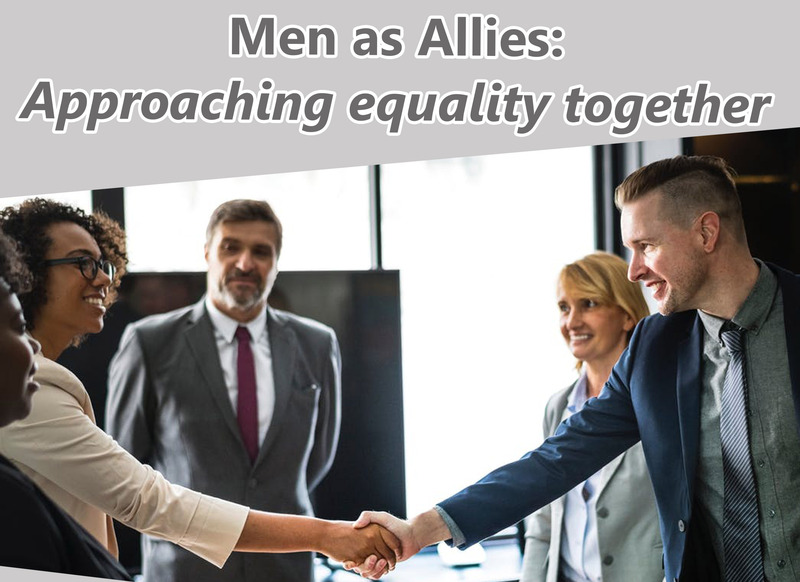 * Dr Keith Turner will be a guest panel speaker for the CamAWiSE “Men as allies – Approaching equality together”, 30 May 2019, in partnership with the Wellcome – MRC Cambridge Stem Cell Institute. QuantumBlack’s Women Transforming Tech Event will take place at the QuantumBlack office in London on Friday 17th of May. This will be a day of immersive technical workshops dedicated to applied Artificial Intelligence. In the last of our 4-part career series, Natacha Wilson, founder and director of Cambridge Insights, will show you how to create an impact in your first 90 days in your new job. You’ve planned, practised, interviewed and secured your new post! You’re excited to get started; meeting new people, new expectations, a new boss and learning the new ropes in industry. Or perhaps your talents have been recognised and you’ve moved to the next stage in your academic career. Natacha will share her tips on the value of preparation, setting smart goals and gaining support from the start. She will also explore some of the myths associated with induction programmes, the “Honey Moon” period when everything you do is appreciated and the way we measure success. This workshop will include the all important Networking over coffee, tea and cake. The WiSE-UP series is open to all! STEMM or not, Women and Men. The workshop will take place at Lucy Cavendish College. Book now! Staff members of our sponsor the MRC Laboratory of Molecular Biology can join our events for member prices! Just drop Marloes an email (info@camawise.org.uk) after you have booked.